Finally, an SMS for aerial service providers that supports law enforcement, search and rescue, pipeline patrol, firefighting, logging, and offshore helicopter operations; even glider towing and traffic watch. Challenging missions for sure, each with their own distinct set of hazards. Aerial service providers need an SMS that can be configured and customized to each operator’s unique hazards and threats, in addition to barriers and controls that are already in place. From airborne geophysical survey and night vision goggle operations to winching/hoist operations and helicopter external loads, OmniSMS supports your operations due to its remarkable configuration capabilities and custom, user-defined flightrisk assessments. Flight Safety Foundation’s Basic Aviation Risk Standard (BARS) is built right into OmniSMS. 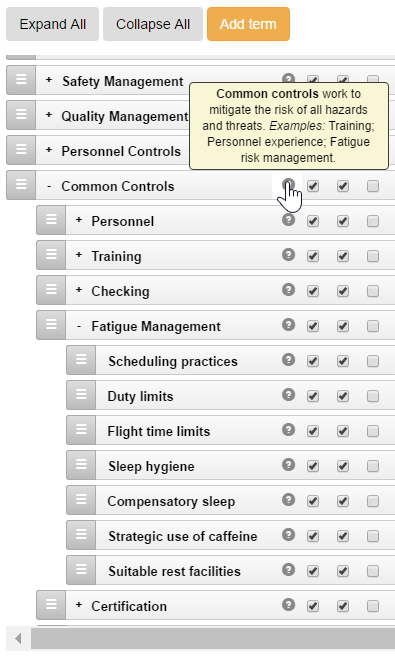 Configure your hazards and threats by simply hiding terms, adding terms, or renaming existing BARS terms. This includes controls and recovery measures. You can also align the BARS audit program with OmniSMS audit checklists and audit findings. And when the BAR standard is updated, or your operations change, simply align the update / change with your customized OmniSMS taxonomies. Done. Perform a proactive safety assessment prior to each year’s contract, and identify hazards and threats in the current operational environment; update it at any time. 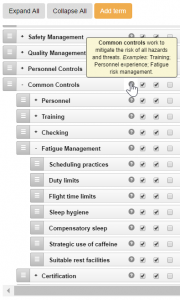 Create a customized, contract-specific operational risk assessment (ORA) for flight and ground crews; optimized for mobile phone or iPad use by front-line employees. Omni Air Group is now making the OmniSMS system affordable to smaller contractors, with reduced subscription fees and total customer support, including online SMS training and SMS implementation assistance. OmniSMS guarantees your SMS will meet USFS requirements. Important: If you hold any type of part 133 / 135 or other FAA certificate, you’ll want to be sure your SMS also meets proposed FAA standards. The current FAA standard (while not yet mandatory) is found in FAA’s SMS Voluntary Program. OmniSMS includes a web-based application with employee reporting, SMS Manual, Emergency Response Plan, Quality Assurance Program, audit checklists, training, and support. When implemented across your organization in all functional areas, the system will meet these high standards, in addition to other SMS standards including ACSF, ICAO / IS-BAO, Transport Canada, and EASA requirements for safety management systems. Contact Omni Air Group today for more information.